What are you pumping? This is a key first question to ask when it comes to electric submersible pumps. It seems simple, but too often it is left unanswered while the wrong pump is purchased or rented. Ultimately, one wrong decision could lead to an even bigger mess to clean up. It is crucial for the contractor to understand the type of application in which the pump will be used. Just as important is taking the time to see what elevation, distance and flow are needed on the job. Otherwise, they will likely choose the wrong unit to perform the work. Answering these questions correctly will eliminate the biggest and most common missteps during the pump selection process. To avoid costly mistakes, enjoy this guide for buying, maintaining and using submersible pumps. Electric submersible pumps are best utilized in deep groundwater. There are a few varieties of these pumps, and it is important to select the correct one. The operator will know instantaneously should they choose the incorrect pump. It can create a host of issues including: clogging the pump, snapping the shaft, breaking the impeller and completely wearing the webbing down. Once the user knows the correct pump style per their application, they should determine the following: amount of flow needed, elevation change and desired distance for moving the water. Elevation change determines the pump strength necessary to overcome gravity resistance. It is important to know both the suction elevation from the water to the eye of the impeller, in addition to the discharge elevation from the eye of the impeller to the water’s destination. By adding these two numbers, the user will have the sum total elevation (gravity resistance). The distance determines if the line size should be increased to reduce friction loss because of friction resistance. Friction occurs in all pipes and hoses when liquid travels through them. Two things impacting friction are the velocity of the water traveling through the pipe or hose and the overall distance of the pipe or hose to the delivery point. Understanding how far and to where the water is going determines the flow required. Identifying these variables will also impact the submersible pump’s features, such as horsepower (hp) and type of impeller. 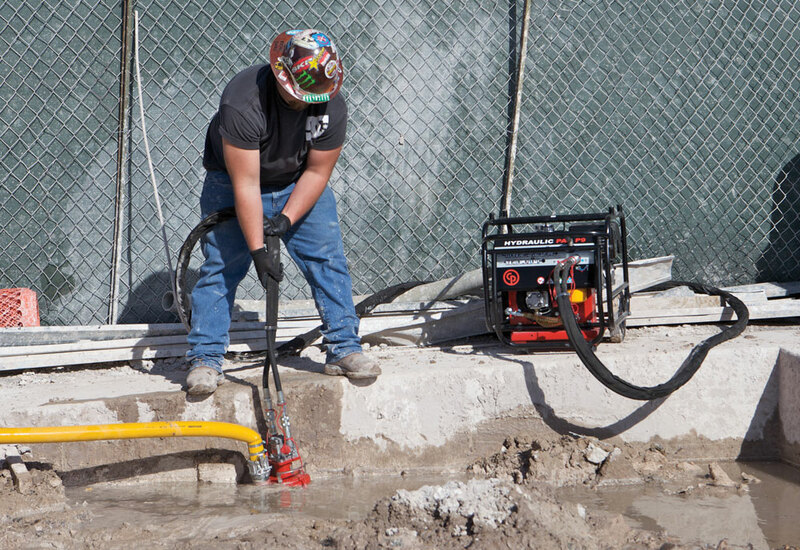 Size and Power: Incorrectly sizing the pump for the application is often one of the biggest mistakes on the jobsite. This includes having too much horsepower and not enough flow. Selecting the wrong size can lead to seal, impeller and shaft failures. Type of Impeller: The user will want to know the metallurgical makeup of the impeller — stainless steel, hard chrome or cast iron. The impeller type is crucial. For instance, if the operator is pumping something with solids in it, they would want a solid-handling impeller style and a submersible that can pass the solid. Pump Casing: The outer material of the pump casing, aluminum or stainless steel, can be beneficial depending on the material being pumped. pH Levels: Based on a scale of 1 to 10. The casing and metallurgical makeup are important for chemical compatibility. If the water has a low pH, which can be acidic and corrosive, the operator will want a metallurgical material based on what is being pumped. In this case, stainless steel is a good choice for lower pH levels. Additionally, aluminum handles a pH level between five to seven, but pumping low pH will eat the casing to its death. For starters, it is always important to consult the original manufacturer’s guidelines. This in turn will help the operator create a proactive schedule of daily tasks and specific-hour intervals. 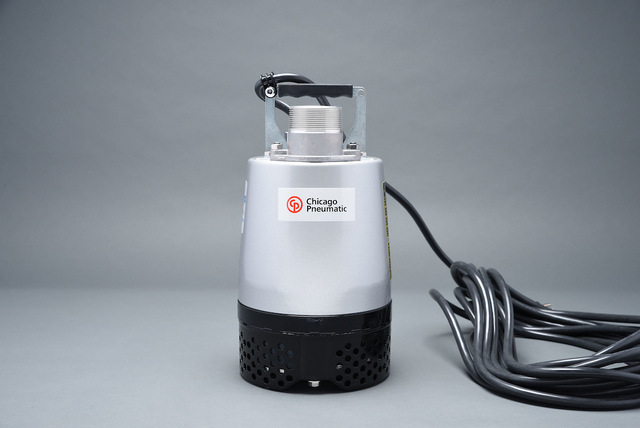 For daily use, the most important thing is to make sure the submersible pump is not clogged. When doing so, check to see if there is anything against the screen and clean when needed. Also, inspect the cable cord for cuts. The nice thing about submersibles is they are not equipped for engine oil, which drastically reduces maintenance on the pump compared to other pumps. However, we recommend periodically checking to ensure the seal has an appropriate amount of oil. Lastly, by simply running the submersible, an operator can observe the unit and make note of leaks, abnormal sounds or smells. Electricity is always dangerous. When sticking something electrical in the water, it is imperative to provide safety for the pump and for the people around it. So, it should always be the operator’s first priority. First, it is important to always properly shut down the pump before performing any maintenance and system checks. Another safety measure includes making sure the pump does not rotate in the wrong direction. One of the biggest dangers operators face with electrical pumps is an exposed cable. When a stray current in a motor uses a bearing as its path to ground, the resulting damage is known as electric arcing. This develops if there is a difference in potential between the shaft and the bearing housing. For instance, if an operator runs a three-phase submersible pump, they would have an L1, L2, L3 and ground. An arc could occur anywhere between L1 and L3, creating an electrical surge or a fry situation back toward the electrical motor. Successfully matching the pump to the job starts with some upfront work. Finding answers to the application, elevation change and distance questions will ensure everything flows smoothly and without any hiccups. Joe Moser is the director of business development for pumps at Chicago Pneumatic Power Technique.